Since the portable intelligent vehicle was published, have launched multiple models of electric unicycle, whether the luxurious atmosphere by single hub, or the mini cute type by the two hubs Q series, they all won the favorite of consumers, now, it is time end of year, we are prepare the general model lists which specialized for the people who wants to buy the unicycle. Many people like the X8 model ,basically because the unique advantages of appearance, of course,this doesn’t mean the X8 is only to save up appearance, X8 unicycle superior material, consistently high performance, can face and sustaining the impact by any situation, vibration, high temperature. Appearance of X8 can be quite low profile also luxury, there are three colors for options, all colors are shining people’s eyes. 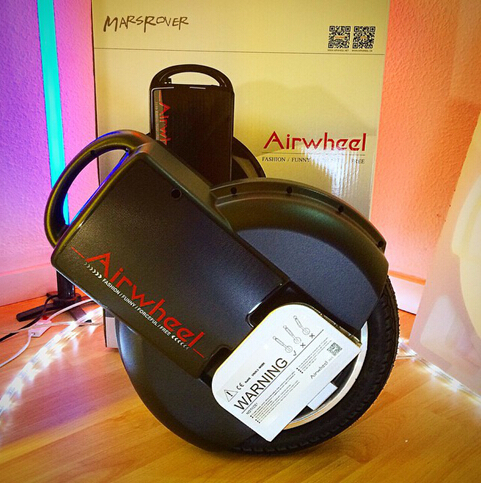 The design of X5 and X8 are exactly the same single wheel hub, the X5 is more generous atmosphere obviously, have to say, inside parameter of Airwheel are almost the same, actually, the Airwheel unicycle have similar malpractice, which is no matter changes on appearance but the performance slightly changed only. by look at the Q1 self-balancing electric unicycle(http://www.airwheel.net/)brings feel of cute, just like her name, it is very cute Q, many people think it is same appearance on unicycle, But Airwheel unique design the of different model, the white and black color for boys and girls, Q1 two wheeled hub design makes it more stable and safety ride. When talking about Q3, comes first is its super riding distance, 65 km super riding distance range made Q 3 sedkill all the new personal transport, the material of out shell continued using the high quality macromolecule PC material, stronger and endurances, the pedals made by aluminum alloy, reached the action on speedy and four dimension by body movement, the power of brake are stronger and more faster, by a way, in all the Airwheel unicycle, the most popular sale type is Q3. The most beautiful type of Airwheel unicycle is Q5, the cool feel are most welcome, through the appearance is very important, but the Q5 not only lovely on appearance, even the shapes are filled with drama effect, fantastic LED illusion light, decorating the dark night, increased the safety and unicycle body beautiful, brings itself the glamorous atmosphere. Airwheel electric unicycle, fulfilled by high technology, and cool feel on appearance, except the positioning on high configuration and high cost performance, which is welcomed by market approved and fond by customers, Airwheel has been well known by consumer because its intelligence and cool features, above mentioned are not all models, more type are available for choose, everyone should recognize Airwheel brand when purchasing.